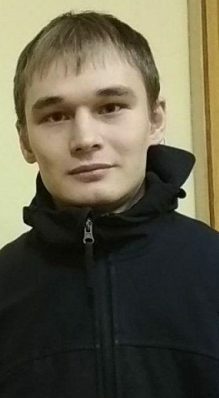 Multiple sources confirm that on February 1, 2019 Azat Miftakhov, a graduate student of the Moscow State University Faculty of Mechanics and Mathematics, was detained on suspicion of manufacturing explosives. He was tortured by the police and the Federal Security Service. According to another detainee, Daniil Galkin, by the time he got a hold of Azat, he “didn’t look like a human being” any more. The police used torture to force a testimony out of Miftakhov. Security forces are concealing his location from his lawyer Svetlana Sidorkina; she hasn’t been able to contact him for the time being. According to the lawyer and other detainees, Azat may have tried to cut his veins as a result. Azat has just started his mathematical career: his first mathematical paper “On weak convergence of finite-dimensional and infinite-dimensional distributions of random processes” was published in 2016. We, the representatives of the mathematical community and ones in solidarity with them, are extremely concerned about the current situation. We demand to know the location and health status of Azat immediately, and that he is granted access to his lawyer. We also demand instantaneous cessation of torture of Miftakhov and other detainees, as well as a transparent and fair trial. Update: Azat Mivtahov has been found in the Balashikha police station in Moscow. The investigator claims he was arrested at 19:10 on February 2. Azat and his lawyer confirmed the use of torture. This entry was posted on Tuesday, February 5th, 2019 at 6:20 pm and is filed under Social and labour movements. You can follow any responses to this entry through the RSS 2.0 feed. You can leave a response, or trackback from your own site.